The Allianz Championship, a PGA Champions Tour tournament returns to The Old Course at Broken Sound Club from February 6-12, 2012 bringing the legendary champions of golf to Boca Raton for a celebrated week-long PGA Champions Tour event that includes a series of interactive, “up close and personal” pre- and during tournament events for golf fans of all ages, while driving net proceeds to benefit Boca Raton Regional Hospital. The Allianz Championship is the PGA Champions Tour’s first tournament of the early-season Florida swing with the Golf Channel televising live all three rounds of the championship from The Old Course at Broken Sound Club. General admission is free due to the generosity of sponsors. During Championship rounds, attendees will follow the legends of golf such as 2011 Allianz Champion Tom Lehman, 2010 Allianz Champion Bernhardt Langer, Mark Calcavecchia, Fuzzy Zoeller, and many more as they vie for the $1.8 championship purse. All events listed will be held at The Old Course at Broken Sound at 1401 NW 51st Street in Boca Raton; for updates and information visit www.allianzchampionship.com. This second-annual event with a private group clinic by LPGA legend and eight-time “player of the year” Annika Sorenstam gives women of all skill sets a chance to play nine holes with a PGA Champions Tour pro during the Allianz Championship. This fun-filled day also includes a continental breakfast, Q & A session with Sorenstam prior to her clinic, a gift package and an invitation to the VIP Executive Pro-Am draw party that night when the champion of the Women’s Executive Pro-Am is announced. 7:15 a.m. and 12:45 p.m.
Teeing up memorable rounds of corporate camaraderie on the green, client entertainment and/or employee recognition with each foursome paired with a PGA Champions Tour pro. Lunch and an invitation to the VIP draw party with Champions Tour legends on Feb. 7th are included. Each player also receives a premium gift package including a $300 Callaway gift card and a Peter Millar apparel shopping spree valued at $250. A second day of Executive Pro-Am play at the Allianz Championship featuring memorable corporate camaraderie and golf with each foursome paired with a PGA Champions Tour pro. Participants enjoy lunch, receive a premium gift package that includes a $300 Callaway gift card and a Peter Millar apparel shopping spree valued at $250, and an invitation to the VIP draw party with Champions Tour legends on Feb. 7th. An impressive roster of PGA Champions Tour legends tee off to compete for a $1.8 million purse during first round championship play at the Allianz Championship, with all net proceeds “chipping in” to benefit Boca Raton Regional Hospital. 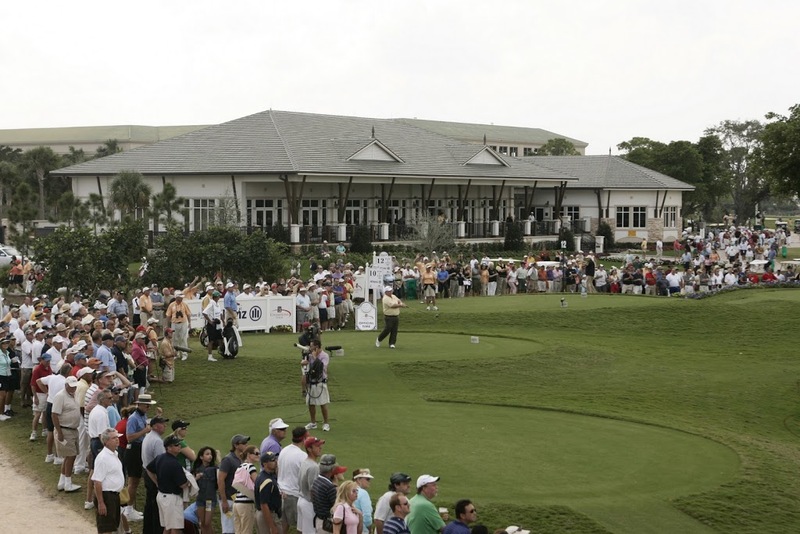 Boca Raton will host defending Champion Tom Lehman and other PGA Champions Tour pros at the Champions Tour’s first tournament of the early-season Florida swing, with The Golf Channel televising all three rounds live from The Old Course at Broken Sound Club. Ticket Price: General admission free; skybox tickets available for purchase. PGA Champions Tour legends continue to vie for a $1.8 million purse in second round championship play during “Family Day” at the Allianz Championship with all net proceeds “chipping in” to benefit Boca Raton Regional Hospital. “Family Day” features a full schedule of free interactive family activities for all generations, including face painting, a bounce house, putting contests, Don Law golf clinic, children painting their own art on a Lexus vehicle, appearances by South Florida sports team mascots and much more. Overlooking the 18th green, wine and food connoisseurs, golf enthusiasts and those who want to enjoy an afternoon out with friends or meeting new ones will get the chance to sample “reds and whites on the green” from the private wine collections of PGA pros’ own vineyards in this special “event within the event” that benefits Boca Raton Regional Hospital. In addition to indulging in the varietals from international vineyards and labels owned by golf pros Arnold Palmer, Fred Couples and more, attendees will enjoy delicious gourmet foods from top local restaurants, VIP experience auction, appearances by golf legends and live entertainment. Ticket Price: $85 per person; ticket packages available include a Twosome Package for $200 that includes two tickets, two passes to VIP suite overlooking the 16th green during Allianz Championship, two beverage vouchers, and one Saturday VIP parking pass and a Fuzzy Zoeller Package for $750 that includes four tickets, four passes to the Executive Skybox for Saturday, Feb. 11th, and two Saturday VIP parking passes. The exciting finish for players and fans alike as PGA Champions Tour legends vie for a $1.8 million purse during final-round play, with the check and trophy presentation immediately following the day’s play, all televised live from The Old Course at Broken Sound Club on The Golf Channel. The Allianz Championship, the Champions Tour’s first tournament of the early-season Florida swing, will drive all net proceeds from the tournament to “chip in” to benefit Boca Raton Regional Hospital. Premium ticket packages can be purchased for VIP and Skybox seating ranging from $75 to $175. Sponsorship packages include branded opportunities, premium seating, variety of invitation-onlyreceptions, Pro-Am play, meet and greets with the legends of golf, etc.